My favorite part was the discussion of how Jesus replaced the core value of purity with compassion. Nice move, Jesus. Less us-versus-them, more love. 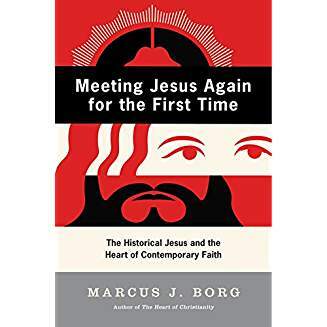 which also delve into this remarkable history of the competing Christianities that eventually led to today’s predominant Christology, viz., that Jesus is both human and divine, something that Jesus of Nazareth probably never thought of himself, and certainly seems not to have ever said of himself). His point that “‘The Jews’ did not reject Jesus” has analogy today: “The Jews” did not reject Jesus anymore than “the Muslims” reject the West, another common and contemporary instance of that type of religious illiteracy in which one holds an entire religious community responsible for the actions of an individual in that religious community.